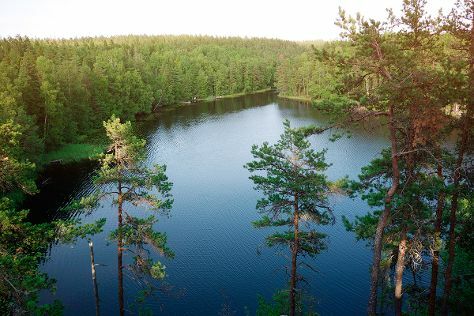 Explore the numerous day-trip ideas around Turku: Nuuksio National Park (in Espoo) and Old Rauma (in Rauma). Next up on the itinerary: explore the historical opulence of Turku Castle, get your game on at Moomin World, browse the collection at Turku City Library, and take a tour of Forum Marinum Maritime Centre. To find photos, maps, where to stay, and tourist information, refer to the Turku trip maker site . In January in Turku, expect temperatures between -3°C during the day and -9°C at night. Finish your sightseeing early on the 31st (Thu) so you can travel back home.